to all over the world. If you are an international client who is looking for your best packaging solutions, then you are in the right location. Why? Because IMPAK Corporation has all your packaging needs from stand up pouches, MylarFoil bags, custom printed packaging, desiccants, oxygen absorbers, in-stock vacuum sealer machines, custom heavy duty impulse sealers, and many more. One stop packaging source to consolidate all your packaging requirements. - Many different styles of flexible packaging, large supply of desiccants and oxygen absorbers, lots of available packaging sealer machines. Great food grade quality MylarFoil bags, clear vacuum bags, stand up pouches, and more. - IMPAK is the largest in-stock MylarFoil bag supplier worldwide. IMPAK’s product price and overseas shipping cost is competitive. 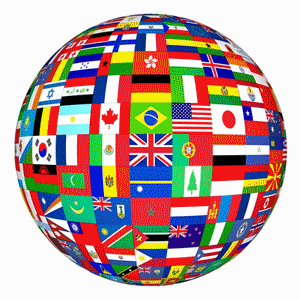 - We have a great deal of experience with international customers. Our international sales representatives understand your requests. We have wide expertise in the packaging industry. IMPAK has been supplying to biomedical, electronic, beverage and food production companies. Our packaging experts can accommodate many of your custom requirements whether it’s your own printed packaging, your unique bag applications, vacuum sealing machines or heavy duty large frame sealers. We are here to resolve all your packaging needs.